The Russian aircraft manufacturer Irkut Corporation has decided to pull out its 70% of the joint venture with the Airbus Group, the EADS Irkut Seaplane, writes Kommersant daily. 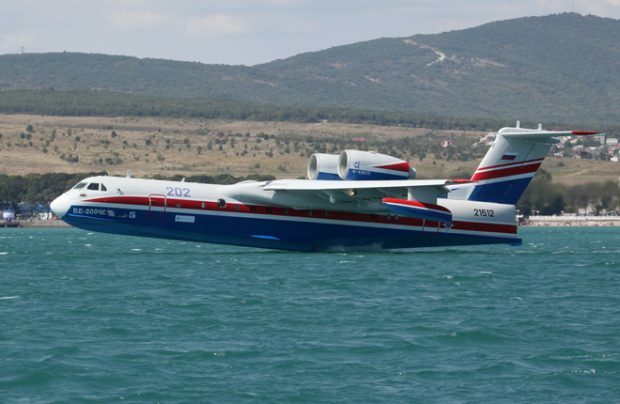 The venture, which was launched in 2005 and was responsible for the international promotion of Beriev Be-200 amphibious aircraft assembled at that time at Irkut, was canceled in early November of this year. This decision went into effect just a few days ago. The project to support the Be-200 seaplane was part of EADS’s global strategy to create partnerships with the Russian industry. The joint venture was also supposed to deal with A320/A321 conversion to freighter variants, but the project was stopped even before the anti-Russian sanctions had been set in 2014. The losses on the Russian side have been calculated at around $50 million, an industry source told Kommersant. Be-200 is now operated by the ministries of emergency situations of Russia and Azerbaijan. The aircraft is used for firefighting missions everywhere, including most recently in the forest fires in Portugal in August this year. Partnership with Airbus Group allowed Irkut to bring its system of quality control up to international standards. In 2009, the Russian manufacturer became the first on the Russian market to have received international certification, the EN 9100, for quality control management. This certificate allows the company to put its products on the European market. Irkut’s cooperation with Airbus still includes the manufacturing of nose landing gear bays for A320 aircraft at the Russian company’s facility in Irkutsk.